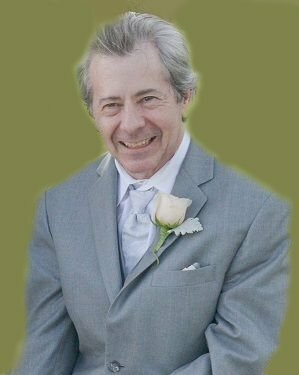 Robert K. Baumler, 63, of Frederick, Maryland passed away on July 12, 2018 after a 20 year struggle with neurological disease. He was the husband of 40 years to Linda Baumler, and father to Bobby Baumler and Jennifer Dorsey (Eddie). Born to Raymond and the late Martha Baumler, Robert grew up in Rockville, Maryland. He graduated from Peary High School and Montgomery College, where he studied photography and art. Upon graduation, Robert began a 32 year career with the Defense Intelligence Agency, starting in the graphics department. He received numerous awards for his work on critical classified documents. However, he found his true passion upon transferring to the engineering department in the late 1980’s, where he eventually became a Facilities Manager. Utilizing his skills in construction, Robert was responsible for a major move of employees to a leased building in Clarendon, Virginia, and managed that facility as well as other projects at the DIAC in Washington, DC until his illness required him to retire. Robert was skilled in many trades, including auto mechanics, construction, electric, plumbing, and woodworking. He built numerous pieces of beautiful furniture and constructed a major home addition, along with many other projects. He was an amateur radio operator and enjoyed fishing and gardening. As his illness progressed, Robert was unable to enjoy any of these activities, but he never lost his incredible sense of humor. Robert is also survived by his brother, Raymond Baumler (Caroline); brothers-in-law Fred Billig (Trish), Jimmy Billig (Stephanie), and Dave Bartley, as well as nine nieces and nephews, and his aunts and uncle, Kay Smitherman and Bob and Sylvia Stohler. The family would like to thank the staff at Country Meadows for loving and caring for Robert these past three years. As difficult as it was for him to leave the house he shared with Linda, he considered Country Meadows his home and bonded with his new family there. A funeral mass will be held at 11 a.m. Monday, July 16, 2018 at St. Ignatius of Loyola Catholic Church in Ijamsville, MD. Rev. Michael J. Jendrek will officiate. Interment will follow at Mt. Olivet Cemetery in Frederick. In lieu of flowers, donations may be made to the Lewy Body Dementia Association or the St. Ignatius of Loyola AMDG capital campaign. Arrangements have been entrusted to Stauffer Funeral Home in Frederick.